Benjamin — no one called him “Bugsy” to his face if they had sense — Siegel was born on 28 February 1906 in the Williamsburg district of Brooklyn, New York. He started his first protection racket before he was a teenager, charging local stallholders $5. He met and befriended Meyer Lansky and the pair formed a gang of car thieves and ran illegal gambling dens. Siegel began a semi-legitimate career as a taxi driver but used his position to work out rich pickings for burglary or robbery. In 1930, Lansky and Siegel joined forces with Lucky Luciano (search the article) and Frank Costello (search the article) and began bootlegging in New York, New Jersey and Philadelphia. On 22 November 1939, Thanksgiving, Siegel, his brother-in-law Whitey Krakower, Frank Carbo and Harry Segal killed gangster Harry “Big Greenie” Greenberg who, short of money, had written a letter asking for cash which was couched in such terms that it appeared a threat to go to the police if he did not receive $5,000. Greenberg was shot as he sat in the front seat of his new yellow Ford convertible reading a newspaper. 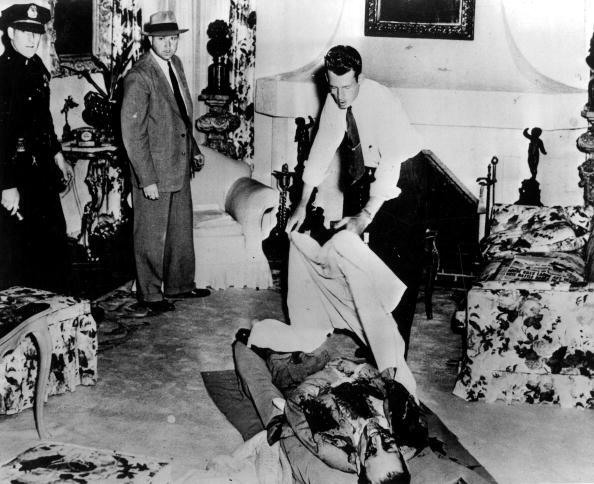 When four gangsters turned evidence, Siegel was arrested. To protect himself, Siegel murdered his brother-in-law as he sat on his stoop on Delancey Street enjoying the summer sunshine on 31 July 1940. On 16 August Siegel Carbo and Segal were indicted for Greenberg’s murder. The case collapsed on 5 February 1942 when no witnesses could be found to the killing. In 1941 Siegel fell for the Alabama-born, good-time girl Virginia “Sugar” Hill. In 1945 he began work on the Pink Flamingo Hotel & Casino in Las Vegas. Many of the contractors ripped off Siegel, who had no previous experience in the construction business. At a cost of $6 million the 105-room Pink Flamingo Hotel & Casino finally opened on Boxing Day 1946. The night was a disaster and the Flamingo promptly suffered huge losses. It was discovered that Siegel had himself been less than honest with the building costs of the Flamingo. On 20 June 1947, after a night out, he returned to Virginia Hill’s home, 810 North Linden Drive in Beverly Hills, and sat in the living room, reading the previous day’s Los Angeles Times. At 10.45pm a mob hit man (reportedly Eddie Cannizzaro) opened up with an M1 Carbine. Seven rounds were fired and one of the .30-calibre bullets hit the bridge of Siegel’s nose, blowing his left eyeball out of its socket and 4 m (14 ft) across the room, where it was found intact. No one was ever charged with the murder.